CLEVELAND — The Senate has passed legislation to honor former Cleveland Indians player Larry Doby with the Congressional Gold Medal. Ohio Sens. Sherrod Brown, a Cleveland Democrat, and Rob Portman, a Cincinnati-area Republican, recently announced passage. The bill awaits GOP President Donald Trump’s signature. Republican Rep. Jim Renacci of Wadsworth earlier helped gain House approval. 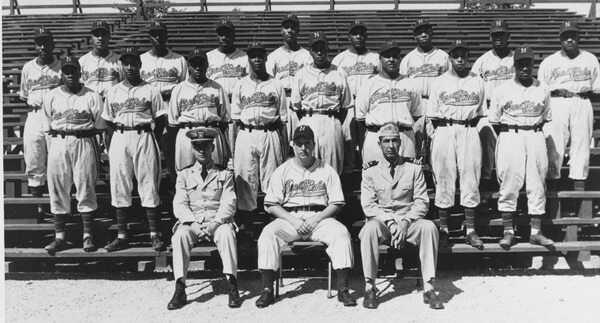 Doby in July 1947 became the American League’s first black player, two months after Jackie Robinson broke baseball’s color line with the National League’s Brooklyn Dodgers. The late Doby was a seven-time All-Star, leading the 1948 Indians to the world championship. Robinson and Ohio-born golf star Jack Nicklaus are among other athletes honored with the gold medal. Born in Camden, South Carolina, Doby played high school sports in Paterson, New Jersey, and served in the Navy.